The village of Rhode, Co Offaly, is on the R400, 9 kms from Junction 3 on the M6 Dublin – Galway motorway. Leave Rhode on L1010, signposted Tyrrellspass & Croghan Hilll with Ryan’s Pharmacy on one corner, O’Toole’s public house on the other. 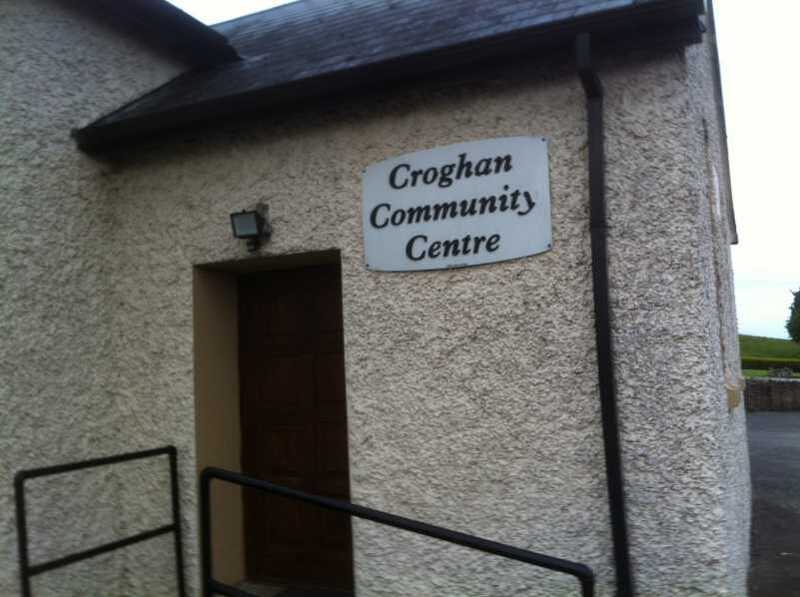 After 6kms you reach the hamlet of Croghan, Turn right after the new school onto minor road and before you have travelled another kilometre you will pass Croghan Hill Challenge on the right hand side and reach Croghan Community Centre, the renovated old school which dates from 1930, at N 47470 32865 A. There is plenty of parking at the Community Centre. The area behind the Community Centre has been landscaped and is well fenced but at one corner a wooden frame / stile straddles the fence so it can be easily crossed. From the first field behind the centre a double barbed wire fence can be negotiated with care and a cow path followed all the way towards the grassy summit cairn. Another two strand barbed wire fence can be easily negotiated near the summit. The summit cairn is about 750 metres from the Community Centre and the height gained is about 100m. One can return to the M6 by continuing along the road to the charming village of Tyrrellspass where you emerge on the L1113, opposite Tyrrellspass Castle.